The new EU Sulphur Directive will come into force on the 1st January 2015. 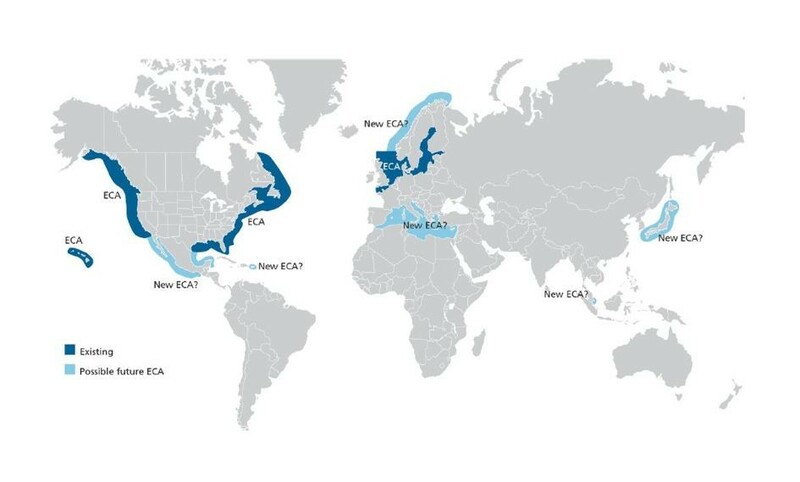 The European Commission issued this directive in respect of ships sailing within the Emission Control Areas (ECAs) – English Channel, North Sea and the Baltic. The new sulphur reduction requirements make it mandatory for ships to use fuels with a sulphur content of maximum 0.1%. To achieve this goal ship owners can use diesel fuel (Marine Gas Oil) or choose an alternative – install scrubbers, which have been identified as one of the few available technologies that allow ships to reduce the sulphur content in their emissions. However, the shipping industry is faced with a number of legal and technical uncertainties, which the European Commission administration urgently needs to address if it hopes to help the ship owners prepare for the 1st of January 2015 deadline. Experts say that the cost of bunker required to sail within ECA will increase by 45 to 80%. This can result in higher transport costs by up to 50%. DCT Gdansk as a deepwater facility helps to respond to the Sulphur Directive challenge by providing high-quality service to Ultra-large vessels thereby reducing amount of fuel burned per TEU.